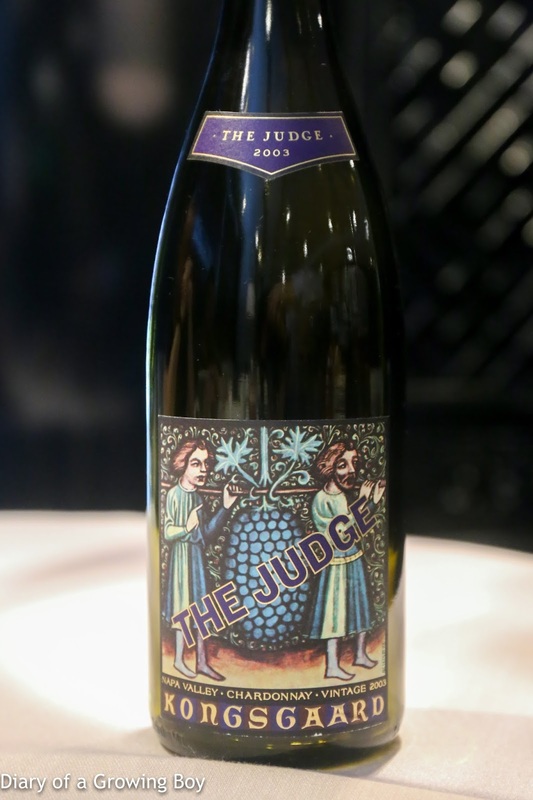 2003 Kongsgaard Chardonnay The Judge - initially the nose seemed over-ripe, but with aeration the acidity and minerality developed further. The nose was still pretty sweet like marzipan, with orange marmalade notes. Perhaps this wine has peaked.